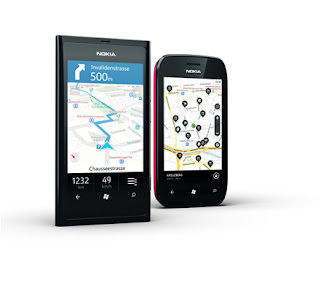 Nokia with Windows Phone combines the best in stylish hardware with the best in stylish software. What you get are colourful touch screen phones that not only look great, but also keep you close to all the important things in your world. Super-fast browsing is just a tile away with Internet Explorer 9. You just have to decide where on the web you want to go. Marketplace and Xbox Live give you endless apps, videos and games to choose from. Now HCL Leaptop users get round the clock service. HCL has launched HCL Touch to boost up its customer care services. HCL Touch will offer 24X7 round-the-clock, service and support for Leaptop users allover India through a universal customer care number. HCL Touch 24×7 Support is offered in 11 regional languages, in addition to Hindi and English. HCL Touch services will be offered to customers in over 4,000 towns across India through 14 remote support centers, 505 service offices, 390 warehouses, and 150 repair centers. 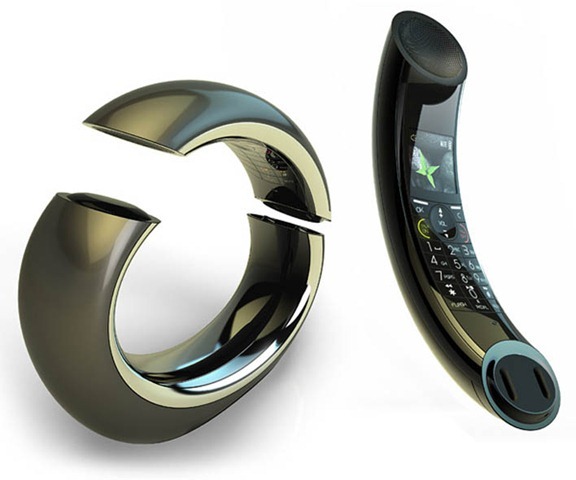 Very nice and unexpected for the type and shape of your home phone! He called The Eclipse DECT. 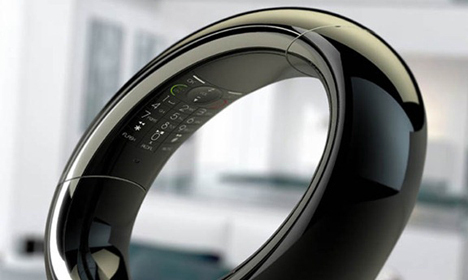 Phone consists of a base unit and handset embedded together in a single and continuous ellipsoidal form factor. It features a crystal clear display and High Quality Duplex speakerphone, amongst other standard stuff. 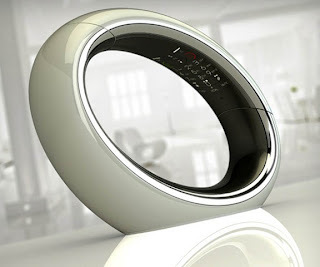 It looks very modern and attractive! The latest Apple TV rumor may seem like a rerun, but this one has been updated. The newest iteration of the longstanding rumor is that Apple will get in to the business of selling TVs by building a digital TV based on iOS. That’s according to multiple Silicon Valley sources cited by Venture Beat. Piper Jaffray analyst Gene Munster told Venture Beat that he predicted Apple would produce a TV set by the end of 2012 or early 2013. Munster, who has long been trumpeting the possibility of an Apple-made TV set, first floated the notion in 2009 that Apple would take a bite out of the TV market in 2011 by introducing its first television. Munster wrote in June that Apple’s recently announced iCloud infrastructure makes it all the more plausible. An immediate challenge for Mr. Cook will be to advance Apple’s plans in what is expected to be a key market for growth: digital video. Apple is working on new technology to deliver video to televisions, and has been discussing whether to try to launch a subscription TV service, according to people familiar with the matter. One of the critical aspects is the idea of Apple offering a subscription service for content. The device would presumably replace and offer more content that the $99 Apple TV set-top box, which already offers access to several third-party apps, such as NBA, MLB, and Netflix. Recent reports have also claimed that Apple was on the verge of unveiling such a subscription service for video content. However, competitors like Amazon have already beaten Apple to the punch with their own streaming services, though they offer a smaller catalog of content than what Apple could potentially provide. Apple rival Google entered the TV space late last year with combination of set-top boxes and TV sets that include its Google TV software. Google’s strategy has been to blend in with TV content provided through a cable operator and let users execute Web searches while watching programming. Samsung was one of the first Android tablet makers with the Galaxy Tab. It was really beautiful with a conveniently sized seven inches display. Apart from that, it also had 3G support, Adobe Flash, and Android 2.2 OS. It had everything that the iPad had and was the only real threat to the Apple’s tablet. However, people decided to stick with Apple iPad and hence Samsung’s product wasn’t a big success. One big reason behind this was the lack of Wi-Fi only version. To care of that, the Korean company is now out with 16GB Wi-Fi only version for luring tablet enthusiasts. It is a bit disappointing to see this tablet now. The manufacturer should have introduced this along with the 3G model itself. Also, Android 3.0 aka Honeycomb is now out and hence the attention has been shifted to the newer OS. That said, I still think that the Galaxy Tab is still the best performing seven inch tablet devices in the market right now looking at the low price of Rs. 24,500. Compared to this, the BlackBerry PlayBook and the Apple iPad are more expensive. Samsung Galaxy Tab Wi-Fi is 7.5 inches tall, 0.5 inch thick, and 4.7 inches wide. It has a solid paperback like solid feel and you can hold it comfortably in one hand. Unlike iPad, I didn’t have to put this device on my laps or cross my legs while using it. The Galaxy Tab is more like a big Android phone and it doesn’t involve any learning curve for navigating through the menus, typing e-mails, or browsing the Web. Samsung Galaxy Tab Wi-Fi looks beautiful with its glossy screen. Above the display, there is a 1.3 megapixels front facing camera and it is great for video chatting through the bundled Qik Plus app. On the bottom, there are the standard Android buttons for search, back, home, and menu. On the top, there is a headphones jack and you get in-ear headphones along with this tablet. On the side, you have the power and volume buttons and close to this, there is the microSD card slot. Bottom edge has pair of built-in speakers and dock connector; the latter works with bundled USB adapter and the power brick. It can be used for accessories too like video output adapter and keyboard dock. The rear side has a three megapixels camera with integrated flash. This camera can record content at 720×480 pixels at 30 fps. Samsung Galaxy Tab Wi-Fi has a protective Corning Gorilla glass layer on the top. The screen has a resolution of 1,024×600 pixels and it is the same as that of the iPad 2. But this display is half the size and hence pixel density is tighter. There is capacitive multitouch technology used here which can Apple iPad both in usefulness and response time. Unlocking the Tab will take you to a familiar looking home screen having floating Google search bar and there are dock icons for Web browser, email and an app drawer. Holding the Tab in either landscape or portrait model will automatically re-orient the screen courtesy of the accelerometer which is built-in. There are five home screens out of the box and you can scroll through them by flicking right or left. Samsung Galaxy Tab Wi-Fi’s two best features are smaller size (it is smaller than the iPad and hence more convenient to use) and Android 2.2 undiluted experience. You get to install a lot of third party apps and there is also the Android Market for installing all the goodies. However, Google recently released Android 3.0 Honeycomb OS made especially for tablets. Android 2.2 is made for smartphones and Samsung put it in the Galaxy Tab because Honeycomb wasn’t available back then. The big problem with Android tablet apps are that most apps aren’t made for the bigger screens of the tablets. This complaint is applicable to all Android tablets. Most apps are the bigger print versions of the smartphone versions. If you want tablet-optimized apps, it is recommended to that you get an Android 3.0 device. That said, there is still something to like the Galaxy Tab like GPS. This included navigation app does a pretty good job as in-car navigation device by offering you turn-by-turn directions, voice search (through the integrated microphone), and points of interest. This is a big advantage that the Galaxy Tab has over the Apple iPad. You get to play the Web Flash video content in the browser itself. One hiccup here is that the OS here is v2.2 and hence most Website treat this device as a smartphone and mobile version of the content instead of the desktop one. You can get third party browsers like the Firefox but let me tell you that the Flash experience won’t be the same as that on the Android 3.0 siblings. In my testing, the audio and video performance was quite satisfactory. The content can be transferred either through a microSD card or USB cable. The new content get scanned immediately by the device. Samsung has a huge experience in making media players and it shows on the Tab with goodies like video bookmarking, audio enhancement settings, and a plethora of video stills for skipping to the desired spot in your movie. Samsung Galaxy Tab Wi-Fi can be used as an alternative to the e-book reader. The e-books fit on the screen perfectly well. The only drawback is that the battery life is relatively low as compared to dedicated e-book readers and hence you won’t get countless hours of reading time. Samsung Galaxy Tab Wi-Fi has e-mail and calendar apps for Gmail and Exchange accounts. I was also glad to see that the manufacturer had ThinkFree Office app pre-installed and through this, you can view and edit any of the Microsoft Office docs. But if you are in to serious document editing, I will recommend you to invest in a Netbook instead. Apple iPad is still the best option amongst the two right now and it is mainly because of Apple’s huge catalog of games and apps which no other manufacturer has been able to imitate. Android Market has come a long way since its inception but it is still not on par with that of Apple. Samsung Galaxy Tab Wi-Fi is a full fledged tablet having a great performance and good screen quality. But in spite of the attractive price, I feel that Honeycomb tablets are much better than this. The Galaxy Tab feels like a half-baked cake and it is seriously outdated. After revealing its inexpensive Android smartphone in September, HTC has now announced the launch of another handset. This new phone is also included in the company’s growing collection of smartphones. However, unlike the previous launch, which had Android OS this HTC smartphone has Window’s Phone 7.5 Mango, a product of Microsoft as its operating system. The company has code named this new handset as the HTC Radar and it is the first mobile launched on Indian soil that runs on Window’s Phone 7.5 Mango. Let us now get acquainted with some of the most notable features of the HTC Radar. 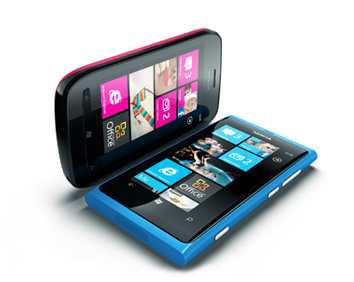 It boasts a touch screen having resolution of 480 * 800 pixels and measurement of 3.8 inches. 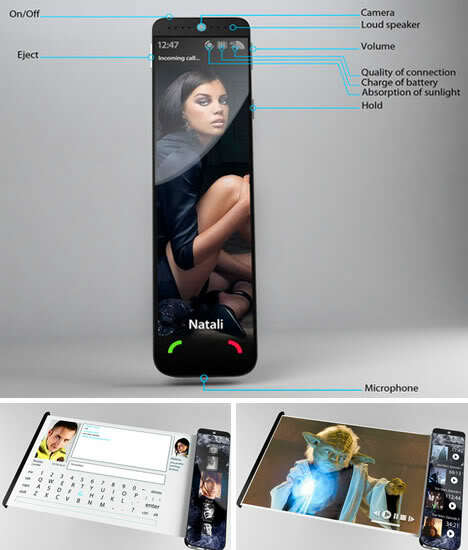 The new OS embedded in this mobile phone comes with a wide array of fresh specifications. 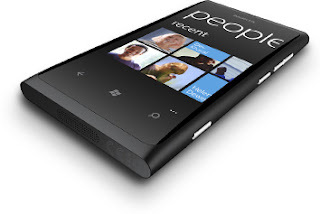 Besides that the phone is equipped with a Scorpion processor of 1GHz and a RAM of 512 MB. Another prominent feature included in this HTC phone is the MS M8255 Snapdragon chipset from Qualcomm. The phone’s internal storage capacity is of 8 GB; but, the user can only access 6.54 GB out of it. However, if required, the user can increase the memory by incorporating an additional storage space of 25 GB using MS Sky Drive. HTC Radar also possesses impressive camera features. The 5MP rear camera embedded in it has F2.2 lens, BSI sensor and LED flash. The BSI sensor makes the camera equally functional even in low light. The camera can capture high definition video at 720-pixel. Besides this rear camera, Radar also has a VGA camera in its front. The HTC Radar has metallic body having dimensions of 120.5 mm x 61.5 mm x 10.9 mm; its approximate weight is 137 g. Now, let’s check out the battery specifications of the phone. HTC Radars come with 1,520 mAh batteries. According to facts presented by the manufacturers, these batteries offer talk time of around 10 hours and standby time of around 480 hours. HTC Radar is also equipped with features like Bing Maps, HTC locations and GPS antenna; these traits of the phone make it an ideal device for people going to unknown destinations. Users can also access FM radio on this device. The connectivity features included in this mobile phone are: 3G, Wi-Fi and Bluetooth. Spice earlier said that they will be launching an Android tablet soon and now they are finally prepared to bring it to the markets. This was confirmed by a Spice spokesperson. This tablet will reach by next week and till then, you can book the device on letsbuy.com by clicking here. Surprisingly, this tablet hasn’t been mentioned by Saholic.com which is Spice’s own Website. The name of this tablet is Spice Mi-720 and runs on Android 2.2 OS. The cost is Rs. 11,990. Under the hood, there is a 800 MHz processor and there is also a seven inches capacitive touchscreen display having a resolution of 800×480 pixels. You can use this tablet as a smartphone; there is support for SIM card inside for making calls. This device can be paired with a Bluetooth headset too. For graphics, there is Adreno 200 graphics processor inside and there is also a four axis gravity sensor for gamers. Spice Mi-720 is a tablet with 3G support and you get speeds up to 7.2 Mbps for downloads and 5.76 Mbps for uploads. Other goodies include USB tethering, Wi-Fi hotspot, EDGE, and GPRS. Spice Mi-720 also comes with HTML browser and Adobe Flash player. There is support for Flash content out of the box. For photos, there is a two megapixels camera on the back and a VGA camera on the front. The card slot can take maximum of 32 GB cards and the device is powered by a 4,200 mAh battery which is pretty decent for this segment.